A new trend has developed in recent years among non-Jews, and then, because Jews live in the midst of a non-Jewish culture, among Jews too. It is the tendency to cremate instead of to bury. What is behind this trend? Perhaps the main motivation is that cremation is much cheaper; there is no casket to purchase, no grave to choose. But people are reluctant to give such a crass reas­on and so they offer nobler-sounding explanations. They tell you that there will eventually be a shortage of space in the world and so it is better not to have cemeteries. They tell you that cremation is quick and simple and less painful than burial in the earth. Whatever the reasons for this new trend, Jewish teachers con­tinue to resist it. 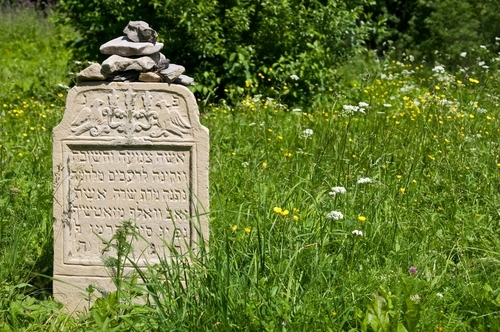 There are at least three reasons why the Jewish tradition opposes cremation: our theology, our memory, and our­ concern for the welfare of the mourner. First: theology. In the Jewish tradition, that which was once holy remains holy, and so the body is to be treated with respect even after the soul departs. The tradition opposes self-inflicted wounds, intentional scarring, and tattoos, because the body is ours, only on loan. Ultimately it belongs to God. Even after death, the body is to be treated with reverence. Kavod ha-met, reverence for the dignity of the dead person, is the key to the manner in which the body is to be washed and dressed, purified and guarded until the burial. Burning the body is seen in our tradition as a desecration of what was once holy. Second: memory. It is hard to comprehend how in this gener­ation, which is just one removed from the time of the Holocaust, we can think of burning a body. Millions of our people were cre­mated in the death camps, and so cremation conjures up for us, the horror of that time when Jewish bodies were treated as worthless. Third: concern for the welfare of the mourner. Burial helps the mourner by providing a sense of closure. When the mourner sees the coffin being lowered into the earth and when he hears the sound of pebbles and soil hitting the coffin, it hurts terribly, but from that moment on he knows that death is real. We may know intellectually that our loved one has died, but at some level it is very hard to really comprehend it. It is not unusual for a person to come back from the funeral and half-expect, half-­hope that the loved one will be there to meet him. Until and unless we perform the physical acts that mean goodbye, we are blocked from being able to come to terms with reality and begin to heal. Cremation always takes place out of sight of the family, for it is a violent act. And so, for the mourner there is no act that marks closure. A grave is an address to which a family can come ever afterward in order to commune with its memories. Some people have told me that they want to be cremated because they know that “no one will ever come to visit or to take care of the grave anyway.” We can sympathize with the pain that is reflected in such a statement, but it expresses a lack of trust in the family and in the community. Each person deserves a place and each family needs an address to which it can come in order to remember, in order to take strength, in order to give and to receive forgiveness, and in order to learn lessons in how to live. For all these reasons, we continue to resist the trend toward cremation.